In 1995, the first UNFCCC Conference of the Parties was held in Berlin, Germany. World leaders and other stakeholders met and discussed issues surrounding the capabilities of world nations to mitigate the emission of green gases. At the event, concerns were raised regarding the country’s ability to meet commitments and joint measures in international Global Warming and Climate Change action. 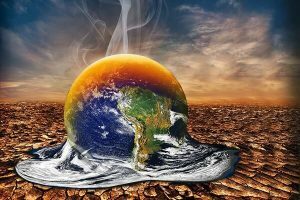 The acceptance of scientific findings on Global Warming and Climate Change as provided by the Intergovernmental Panel on Global Warming and Climate Change. Since then, the Global Warming Climate Change meeting –COP – has been held annually with the sole purpose of creating awareness about Global Warming, Climate Change, and its long-term effects. In 1997, the Kyoto Protocol was adopted in Kyoto, Japan and entered into force in 2005. Currently, there are 192 countries who are parties to the Protocol. Canada withdrew in December 2012. The objective of the Kyoto Protocol is to help in the fight against greenhouse emissions and reduce their concentration in the atmosphere to levels that prevent dangerous anthropocentric interference to the Global Weather System. Basically, the Protocol is based on the assumption that global nations have played a part in greenhouse emissions through industrial progress, deforestation, burning of fossil fuels and greenhouse farming. As such, they have an obligation to develop measures that reduce the current levels of greenhouse gases. Scientists have discovered that majority of greenhouse gases such as methane, carbon dioxide, and nitrous oxide exist in the atmosphere naturally. Over the years, due to increased industrial activity, deforestation, increased use of fossil fuels and coal, the concentration of greenhouse gases has increased to dangerous levels. Due to laxity among nations in implementing measures to reduce greenhouse emissions, it is expected that concentration will increase over the next centuries. Global leaders, climate experts, and other stakeholders have continued to debate over Global Warming and Climate Change. The main factors contributing to Global Warming such as the burning of fossil fuel, deforestation, and poor agricultural practices. It is true to say that human activity has contributed largely to the concentration of greenhouse gases in the atmosphere. In an effort to mitigate the long-term effects of climate change, governments and other stakeholders need to step in and establish strict measures. Climate experts have discovered that burning fossil fuels, deforestation, and poor agricultural practices result in the emission of carbon dioxide and other greenhouse gases. At the moment, there are 1.2 billion vehicles. These vehicles are designed to consume gasoline or diesel. Gasoline has a high boiling point which means it produces less carbon dioxide and other emissions into the atmosphere. The problem is gasoline powered cars account for more than 80% of the 1.2 billion cars currently on roads around the world. Due to the high number of gasoline-powered vehicles, their emissions have a negative impact on the atmosphere and the climate. The other 20% is composed largely of diesel-powered cars, hybrids, and electric cars. Diesel as a fuel has a low boiling point which means it does not burn completely during combustion. As a result, diesel vehicles generate a high volume of carbon dioxide, carbon monoxide, and other dangerous gases into the atmosphere increasing Global Warming and Climate Change. When it comes to energy efficiency, governments and other stakeholders have set up measures that aid in reducing the use of energy. This has helped to reduce greenhouse emissions which are largely contributed by the burning of fossil fuel and coal to produce energy and heat in residential and commercial buildings around the world. Today, leaders in Europe and the United Kingdom have established strict measures against the burning of coal to generate electricity. Apart from that, they have established charging points across the continent which enables electric car owners to charge their vehicles. When it comes to electricity consumption in homes, not only have electricity providers initiated the installation of smart meters but they have encouraged the installation of LED bulbs and the use of energy efficient electrical devices. Apart from the above energy efficient measures, governments and other stakeholders have advocated the installation of insulation in residential and commercial buildings. 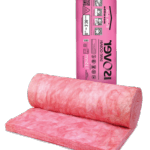 There are numerous benefits property owners can gain from installing insulation. They include personal comfort, thermal performance, condensation control, sound control and fire protection among others. 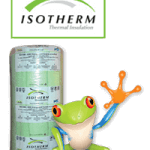 Thermal insulating materials are manufactured from different materials such as foam, fiberglass, mineral wool and other materials. Thanks to the above materials, the escape of heat from the building’s interior is reduced. As a result, building occupants don’t have to spend more energy running heaters in order to keep the interior warm. This helps to reduce the operating costs of the building for its entire life. Due to this, the building will become more affordable, its value will increase per square meter and the comfort of the occupants will be enhanced. Thanks to the implementation of energy efficient measures and insulation, building owners are able to contribute towards reduced greenhouse emissions and global climate change for the better. Actually, greenhouse emissions can be reduced by 707,460 million kg a year. This is equivalent to the annual power/electricity used in over 90 million homes. 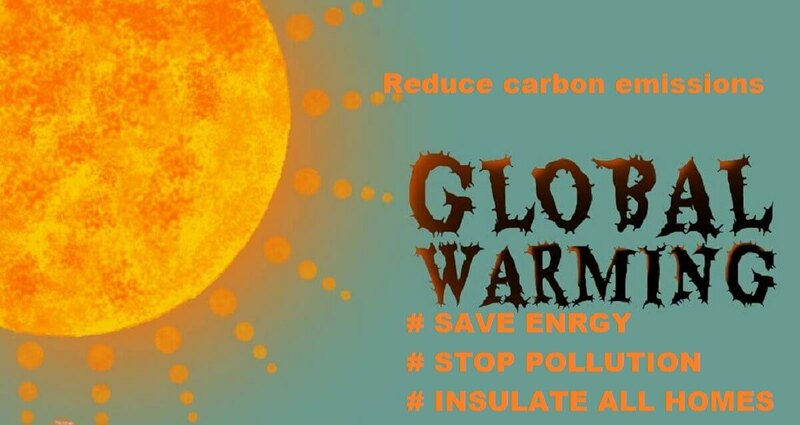 Insulation helps to reduce energy consumption in your building which in turn lowers your energy bills. If you have an older home, it’s probably high time to consider insulation. This is the same for newer homes too. Not only will it enhance comfort in your home but the insulation will pay for itself in a few years. To know if your home is adequately insulated, hire a certified and experience Roof Insulation Installer. The first step they will take after agreeing upon the charges is to carry out an insulation check. In this article, the issue of improving energy efficiency via the installation of Roof Insulation in residential and commercial buildings will be addressed. Furthermore, the article will clearly explain how Insulation can help in the reduction of Greenhouse emissions which in turn mitigates global climate change. Is your home insulated properly or not? The thickness of insulation and R-value. Walls – insulation of your exterior walls is highly recommended. In this case, homeowners should opt for blow-in insulation. This will ensure proper air sealing. Furthermore, contractors can add it without disturbing the finished area. If you are building a traditional framed house, opt for wall sheathing not wood sheathing. This has been found to improve the R-value of your home. Basement – basement insulation is usually done on the external walls. As a result, it helps to reduce heat loss, minimize thermal bridging, protect damp proof coating, protect against moisture intrusion and lower chances of condensation on the floor surface. Perfect insulation for the basement includes a blanket, foam board, loose-fill, sprayed foam and insulating concrete forms. 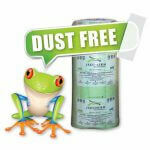 Floors – the first step to insulating your floor is sealing all possible sources of air leakage. This is true especially if the floor is located above the unheated garage. As a result, it will minimize the flow of contaminants such as car exhaust. It will also prevent cold air from the garage from flowing into the house. Attic-In most homes, loose-fill insulation is used rather than batt insulation. This is because it is affordable. Before installation is done, experts will seal all leaks and make repairs to the roof. The further installation will be made to the air seal, knee walls and air decking which provides additional storage space for your hot water tank. Windows – 60% of a building’s energy is lost through windows. To decrease carbon dioxide emissions and save energy, hire contractors to install for you one of the following options: window glazing or glass fiber reinforced polyester window frames. In fact, Double Glazed windows will reduce heat flow by as much as 70%. Foundation – a properly insulated foundation not only helps to lower heating costs but it enhances comfort, prevents insect infestation and moisture problems among other. If you are constructing a new home, use insulating concrete blocks. 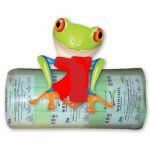 Remember to consult certified experts regarding available insulation materials for your foundation. By now, you already know the areas of your home where you need to insulate to lower heat and cooling costs as well as reduce carbon dioxide emissions to the atmosphere. 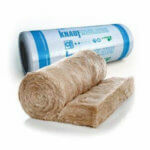 To ensure enhanced comfort in your home, plan when to insulate. According to energy experts, the best time to insulate your home or commercial building is under construction. During construction, your home is a bare bone structure. 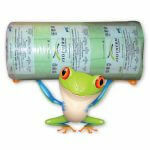 Furthermore, it lowers the cost of procuring insulation materials. When combined with a good design especially passive heating and cooling, your home or office will remain comfortable all year round regardless of the climate. In the US and in South Africa, different states have minimum energy efficiency standards, especially for new buildings and extensions. Following the minimum requirements will ensure that you are in compliance especially with a home energy audit. The first factor you need to consider is time especially day, week or month of the year. Why? Different regions experience different climate patterns. There are areas that experience four seasons – spring, winter, summer, and autumn while other areas experience only one or two climate patterns. If your area experiences extended hotter months, the best time to insulate is before the hotter months start. This is the same if you reside in an area where temperatures drop resulting in winter. The best time when you can insulate is summer. During this season, the weather will be predominantly dry unless you reside in the tropics. Furthermore, it allows you to find a licensed and certified contractor before other homeowners start scrambling as winter approaches. Why? Many people have developed a habit of hiring contractors to make last minute repairs. This means that there will be a high demand for contractors thus increasing the cost of labor. Another factor you should consider when it comes to cost is hiring a contractor at a time when your energy cost savings increase. Although the easiest time to install insulation is when the building is being constructed, there are older homes which need insulation too. If your home is older, then retrofitting is the only solution. 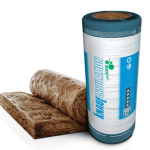 The problem is different areas of your home are in need of different types of insulating materials. For example, the interior walls can be insulated using blankets while the exterior walls are installed with a different material. This is the same for ceilings, floors, the attic, the foundation, and windows. When it comes to retrofitting insulation, a lot of work must be done. The first step a contractor will take is to conduct an inspection. This will provide a clear picture of the expected work. As a result, the contractor will be able to advise you on which materials are needed and the thickness of Ceiling Insulation required which is based on the area you live. Insulation is designed to lower the chances of heat from escaping your home. This means that your energy bill will reduce eliminating wastage of thousands of dollars. Hiring a licensed, certified and experienced contractor to install insulation in your home saves you on the natural gas use or Escom power and decreases the cost of air conditioning. Furthermore, less carbon dioxide emissions will be released into the atmosphere. In a 2009 Residential Energy Consumption Survey, it was found out that 90% of existing American homes did not have proper insulation. Not only does this mean that American homes are under-insulated but they are wasting energy and money in the process. Furthermore, homeowners are not experiencing optimal comfort. Due to increased energy use, these homes have contributed to the negative effects evident in the environment today. Dr. Jonathan Levy, a Professor of Environment Health at Boston University School of Public Health commented that if American homes were insulated according to the 2012 International Energy Conservation Code, power consumption nationwide would drop by 5% while natural gas would decline by 10%. This shows that insulation helps to decrease energy usage thus saving on energy bills. That is not all. 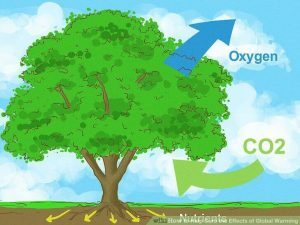 It also reduces carbon dioxide emissions to the atmosphere. The study above was supported by a 1996 study carried out by the Energy Conservation Management, Barakat & Chamberlin and the Alliance to Save Energy. This study revealed the benefits of fiberglass, slag wool, and rock wool insulation materials to the environment. Installing the above insulation materials for both residential and commercial buildings means enhanced comfort for the occupants. Furthermore, the cost of insulation will outweigh energy use. The study also revealed that insulation lowers heating and cooling of homes in the US. This is in comparison with non-insulated homes which utilize more energy to keep the occupant’s comfortable while also contributing greenhouse gases to the atmosphere. Thanks to the insulation of homes, the US can now be able to save 10.4 Quadrillion BTU all over the country for residential properties and 1.51 quadrillion BTU for commercial properties. This is still not enough. More homes need to adopt modern insulation methods to prevent the use of more energy and emission of greenhouse gases. For instance, if insulation was done on all areas of a home – attic, windows, floors, basement, external walls and foundation – this would help to lower energy consumption and emission of carbon dioxide. The current minimum standard allowed by the Council of American Building Officials is the Model Energy Code 1992. Using computerized building simulation to learn more about energy use. Use of component by a component approach which utilizes tables available in the code appendix. All these are available in the COMcheck-EZ and MECcheck compliance reports. If all residential and commercial buildings met the requirements provided for in the Model Energy Code, the US will stand to save 249.2 billion pounds per year of carbon dioxide emissions. As a result, this would significantly lead to the reduction of total carbon dioxide emission by 30% or more. Not only will this reduce energy bills and energy consumption but it will lower the negative effects currently being felt as a result of global warming and climate change. It can be concluded that insulation of both residential and commercial buildings has lots of global warming insulation benefits. To ensure proper insulation, homeowners must follow the minimum requirements set by the state. The next step they should take is to hire a certified, licensed and experienced contractor who is insured. By doing so, the home will be inspected and home insulation solutions provided. There is a bigger picture – Global Warming and Climate Change. Over the past few centuries, human activity has increased a hundredfold. Not only has the world experienced 4 industrial revolutions but many countries have and are still engaging in poor farming practices, increased de-forestation activity and continued burning of more fossil fuel. As demonstrated in this article, there are huge benefits to be gained if insulation was carried out not only in all homes and commercial buildings in the US but around the world too. For this to be realized, governments and other stakeholders need to sensitize the people through education and training. Furthermore, they can provide tax incentives to manufacturers of insulation materials and homeowners who have insulated their homes. This will surely mitigate the effects of global warming and climate change.